Best value for money: new Swift ZDi, Polo 1.2 Highline or i20 Asta? The new Maruti Swift ZDI offers plenty of features and the fuel economy of a diesel. The Swift ZDI is in direct competition with the Volkswagen Polo 1.2 TDI Highline and the Hyundai i20 1.4 CRDi Asta. Swift has been a market leader for long and boats good looks, great handling and attractive price. The excellent diesel adds great fuel economy to that already formidable mix. In short, it’s a very ensible choice. On the other hand, I20 Asta would appeal to someone who likes their car to be loaded to the brim. It has loads of space, rides well and is arguably the most good-looking of all Hyundais. Polo exudes class with its handsome looks and impeccable fit and finish. All the three cars have comparable size and power outputs, but which of these three cars has overall better value? The Maruti Swift ZDI prides itself on its handling. The Swift is powered by the Fiat-derived 1.3-litre multijet diesel that puts out 75 bhp of power and 190 Nm of torque, mated to a smooth-shifting five-speed gearbox. The car feels light and steering response is sharp, making it a pleasure to drive. Being a diesel, there is some initial turbo lag, but once you rev past 1500 rpm the car makes quick progress. The suspension set up is slightly stiff and there’s minimal body roll felt in corners. It is overall a good driver’s car. The Volkswagen Polo is powered by a three-cylinder 1.2 litre diesel engine that puts out 74 bhp of power and 180 Nm of torque. The Polo’s engine is not as refined as the Swift’s in terms of noise levels. But the Polo also handles well, with good steering response and a smooth gearbox. The Hyundai i20 diesel puts out the most power among the three. Its 1.4 litre diesel engine puts out 89 bhp of power and 220 Nm of torque. The car now comes with a five-speed transmission (earlier i20’s had a six-speed gearbox). The shifts are smooth and the car is eager to pull well in city traffic. However, the steering feel is quite uninvolving for the driver – it has a video game kind of feel. Overall in terms of driving and handling, the Swift ZDI is marginally better than the Hyundai i20 and the Volkswagen Polo, even though the i20 makes the most power. When it comes to interior space, the new Swift is better than the older model, but still not the best. The car is marginally longer and wider than the older Swift, and this has increased rear seat legroom by about 28 mm. But boot space has been compromised slightly, now down to 210 litres from 232 litres earlier. The Hyundai i20 on the other hand has the best interior space, with good rear-seat comfort and an almost flat floor allowing three passengers to fit in easily. Boot space is one of the largest around at 295 litres. The Polo is dimensionally longer than the other two cars, but that hasn’t translated into great interior space. Rear seat space is slightly compromised though the 280 litre boot is more than adequate. Overall, the interior space offered by the Swift is about at par with the Polo, but still not as good as the i20. 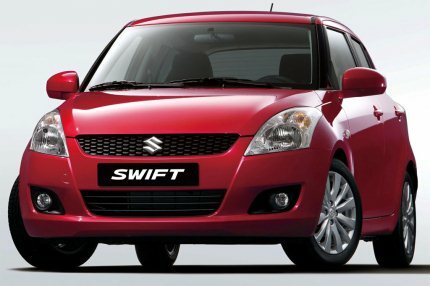 The new Swift doesn’t look too different from the older model when viewed in traffic, even though it’s an all-new car. The design is familiar and well-accepted. The Hyundai i20 too has very classy lines that are liked by many. It’s one of Hyundai’s best designs to date. The Volkswagen Polo is a very elegant looking and has a typical German feel to it. The fit and finish levels on the Volkswagen Polo are slightly better than both the Hyundai i20 and the Maruti Swift, although the Swift is quite close. Overall, the Polo has an edge when it comes to looks, going by the fit and finish levels on the car, although all three cars are well-finished. When it comes to gadgets and convenience, the new Swift tries hard to please. It comes with an integrated six-speaker audio system with USB connectivity and Aux-in ports and steering mounted audio controls. It also features an effective climate control unit and electrically adjustable rear view mirrors. A comprehensive multi-information display, keyless entry with burglar alarm and immobilizer are part of the standard fare on the Swift ZDI. Alloy wheels are also standard. The Hyundai i20 Asta variant also features similar levels of equipment to the Swift. The integrated music system in the Hyundai i20 is of decent quality, while the Option pack also includes a Navigation system and Bluetooth. Steering mounted audio controls are standard and so is an automatic climate control unit. The i20 also features electrically foldable mirrors. A chilled glove box is another distinguishing feature. The Volkswagen Polo seems quite Spartan in comparison to the other two cars here. It does not offer climate control and its four-speaker music system does not have USB or Aux-in connectivity, nor does it have steering-mounted audio controls. Mirrors are electrically adjustable. All the three top-end variants offer adequate safety features, with two airbags and ABS. The Hyundai i20 also offers six airbags as an option if you pick the Asta O variant. In terms of comfort features offered, the Hyundai i20 and the Maruti Swift are almost at a par, with the i20 offering a few more features, but at a premium of Rs. 65,000 to the Swift. And for a further Rs. 50,000 more than the regular Asta variant, the i20 offers even more. The Maruti Swift ZDI is priced at Rs. 6.38 lakh ex-showroom Delhi, making it the cheapest among the three cars in this comparison. Fuel efficiency has always been a strong point with Maruti, and the new Swift diesel improves on this aspect as well, with some weight reduction measures such as the use of a polymer fuel tank and lighter high-grade plastics. This has shaved about 30 kg off the weight overall and increased mileage by about 6% to 22.9 kmpl (according to ARAI). The Hyundai i20 Asta diesel variant is priced at Rs. 7.05 lakh ex-showroom Delhi, and the variant which offers additional safety features (Asta O) is priced at Rs. 7.56 lakh, making it the most expensive among the three cars. The Hyundai i20 is a heavier car and though it features a six-speed gearbox, it manages 21.9 kmpl overall. 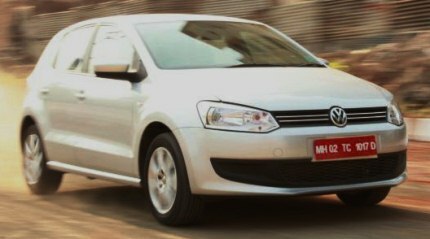 The Volkswagen Polo TDI Highline is also priced similar to the Hyundai i20, at Rs. 7.06 lakh ex-showroom. At this price, the Polo seems a little expensive compared to the other two. The Polo has a three-cylinder engine, compared to the four cylinder units on the other two, and this makes it fairly fuel efficient, but still not as much as the Swift. The Polo has a claimed mileage of 22 kmpl. Overall, the Swift diesel gives the best claimed mileage among the three, has a decent combination of features, and is cheaper than the other two cars, making it the most value for money car in this comparison. Overall, the Maruti Swift ZDi emerges as the most value for money diesel hatchback compared to the Hyundai i20 and the Volkswagen Polo. It provides good ride and handling and good mileage, but lacks a little on space. If you’re looking for space as one of your main requirements, the Hyundai i20 has the most – good rear seat comfort and decent luggage room. But if it’s pure image and good looks and build quality that concern you most, the Polo has that edge. Overall, we still recommend the Maruti Swift diesel as the best value for money diesel hatchback among these three. 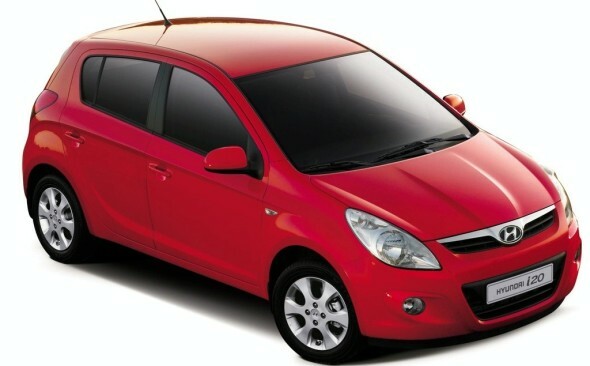 « Mahindra to increase prices of all cars by 2-3% in January 2012!